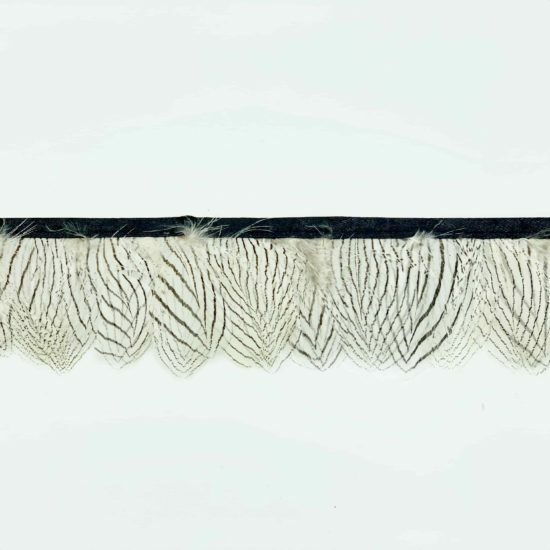 Sold by the yard (36 inches). 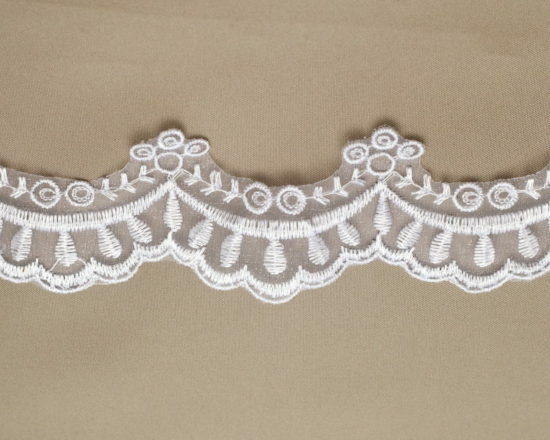 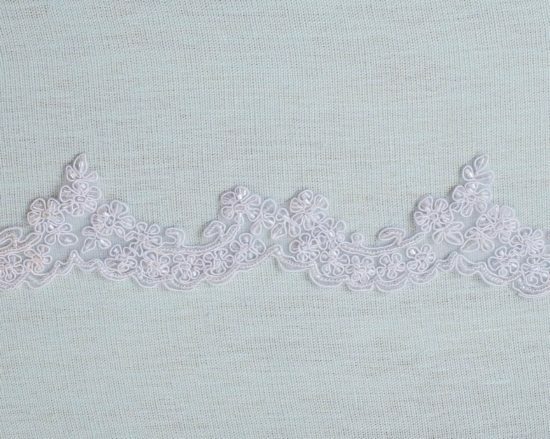 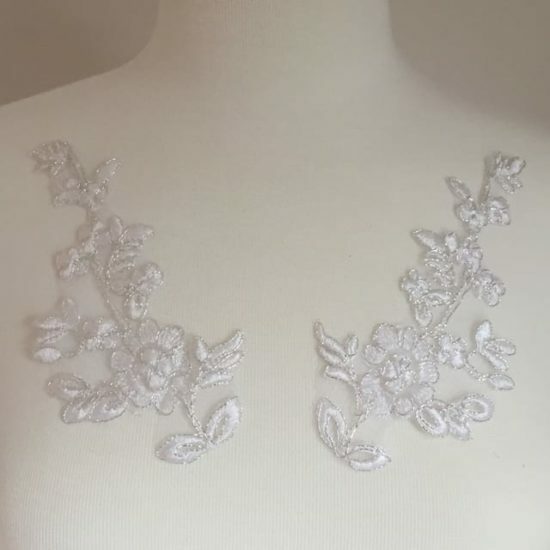 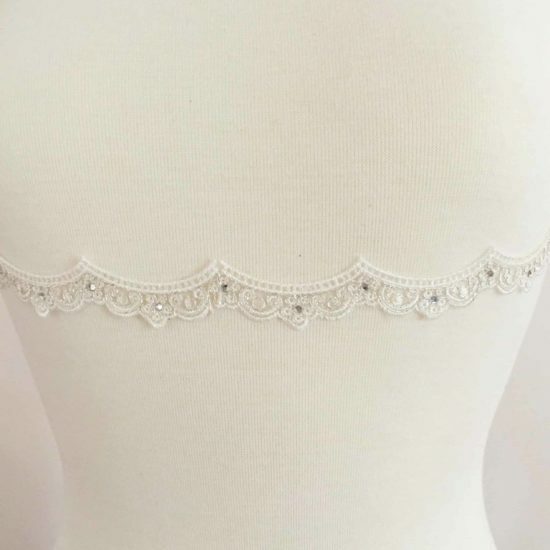 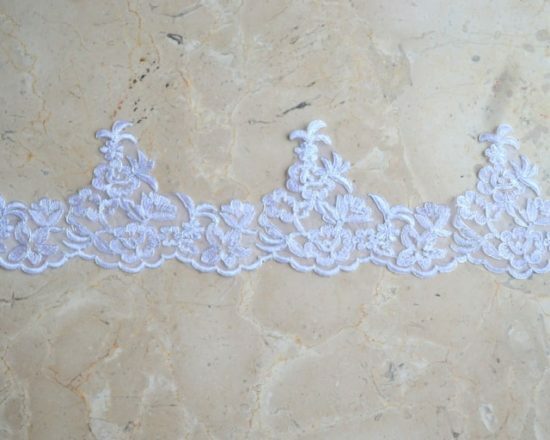 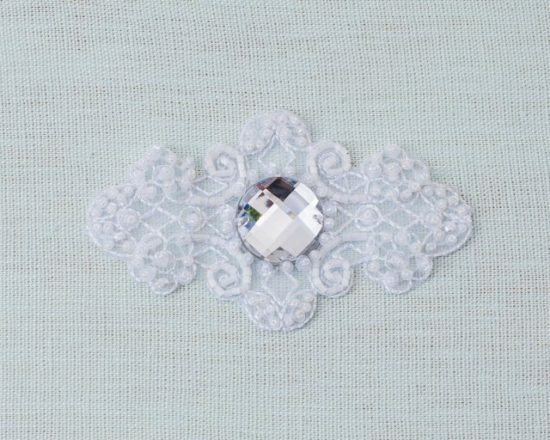 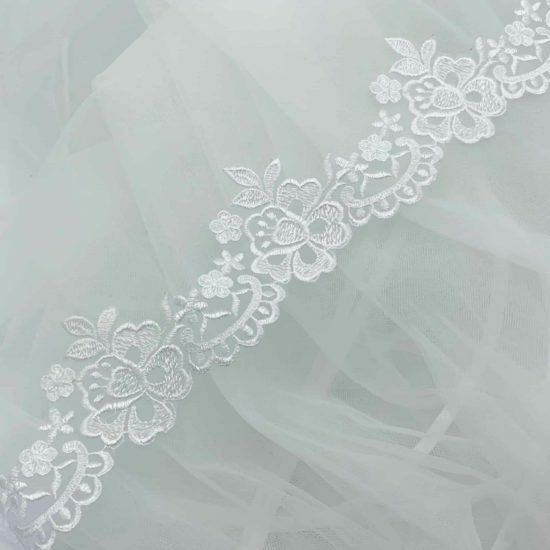 Soft and light organza lace trim with floral and scallop pattern. 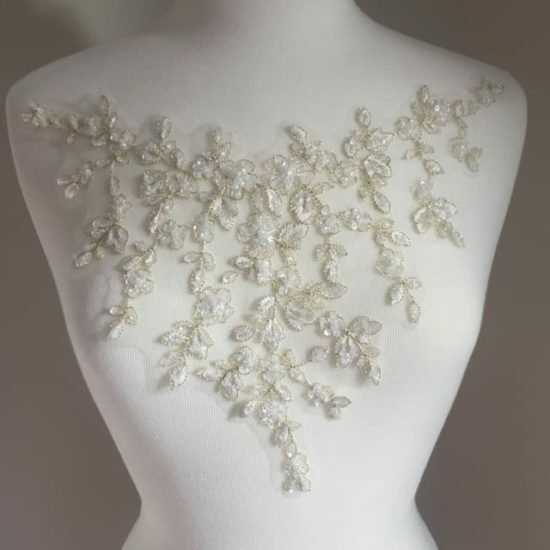 Gorgeous for veils, bridal gowns, communion. 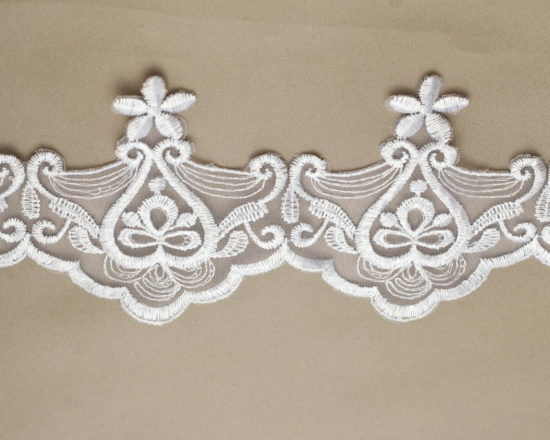 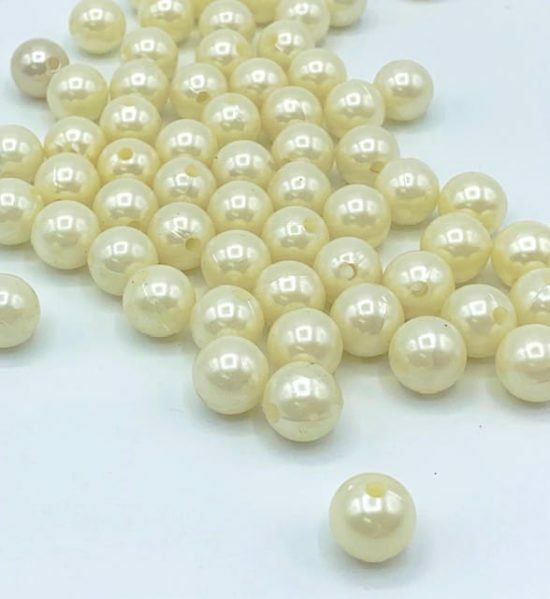 Size: 2.75″W (top to bottom at widest points), 1.5″W (top to bottom at narrowest points).